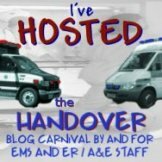 There is another relative newcomer to the Emergency Blogosphere! Lumo is a new A&E (ER) nursing auxillary working in the UK. She has the wonderful view of someone who isn’t tarnished with all that is yet to come! She has just published a post that runs alongside my recent post of Psych ER. Lumo gives her own unique perspective on this important issue and is brave enough to disclose some very personal aspects of her own life which has provided her with an empathy which many of us will never be able to attain. It should be an interesting blog to keep an eye on to see how she develops into her new career, and through her nurse training that she is hoping to commence towards the end of the year. « ECG Geek Episode 2 – You make the decision!